Gene Cernan, one of just 12 Americans, and the last person to ever stand on the Moon, passed away today. He was 82. During 20 years as a Naval Aviator, including 13 years with the National Aeronautics and Space Administration (NASA), Captain Cernan left his mark with three historic missions in space as the Pilot of Gemini 9, the Lunar Module Pilot of Apollo 10, and the Commander of Apollo 17. 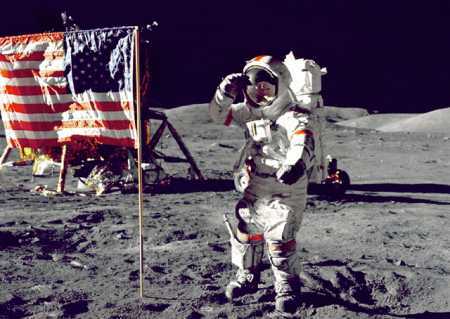 As well as flying to the Moon not once, but twice, he also held the distinction of being the second American to walk in space and the last person to have left his footprints on the lunar surface. 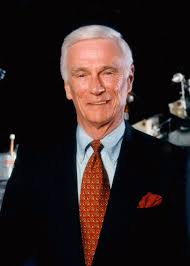 Eugene Andrew “Gene” Cernan was born on March 14, 1934 in Bellwood, Illinois. Cernan’s excitement about aviation began as a young boy watching newsreels of World War II fighter pilots. 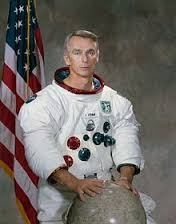 Cernan received a Bachelor of Science degree in Electrical Engineering from Purdue University in 1956. After graduation, he entered Navy flight training and earned his ‘wings of gold,’ serving as a fighter pilot in attack squadrons 26 and 112 at Miramar Air Station in San Diego, California. He later received a Master of Science degree in Aeronautical Engineering from the United States Naval Post Graduate School in Monterey, California, in 1963. Cernan flew in space three times, and did important work to set the stage for Neil Armstrong and Buzz Aldrin’s Apollo 11 Moon landing. Through his extraordinary piloting and flight test of the Apollo 10 lunar module around the Moon, Cernan confirmed the performance, stability and reliability of the module configuration and its separation and descent capabilities, flying it to within nine miles of the lunar surface. His preparation for the first lunar landing clearly demonstrated that pilots could navigate safely and accurately in the Moon’s gravitational fields. As commander of Apollo 17, Cernan became the last person to walk on the Moon in December, 1972, when he landed at Taurus-Littrow aboard the Challenger lunar module. Cernan, and lunar module pilot Jack Schmitt, spent three days roving around the lunar surface. Apollo 17 set numerous records, including longest lunar landing flight, longest lunar surface extravehicular activities, largest and heaviest amount of lunar surface samples collected, and longest time in lunar orbit. Cernan logged more than 5,000 hours of flying time and over 200 jet aircraft carrier landings; claiming publicly that his night aircraft carrier landings were his greatest flying challenge. His carrier landings also helped prepare him for the equally disciplined and exacting Moon landings. Cernan logged 566 hours and 15 minutes in space, and 73 hours on the Moon’s surface. Among his numerous honors, the most significant were the Navy Distinguished Flying Cross, the Distinguished Service Medal with Star, the NASA Distinguished Service Medal, the Federation Aeronautique Internationale (FAI) Gold Medal for Space, induction into the U.S. Space Hall of Fame, and enshrinement in the National Aviation Hall of Fame, Naval Aviation’s Hall of Honor, and the International Air & Space Hall of Fame. 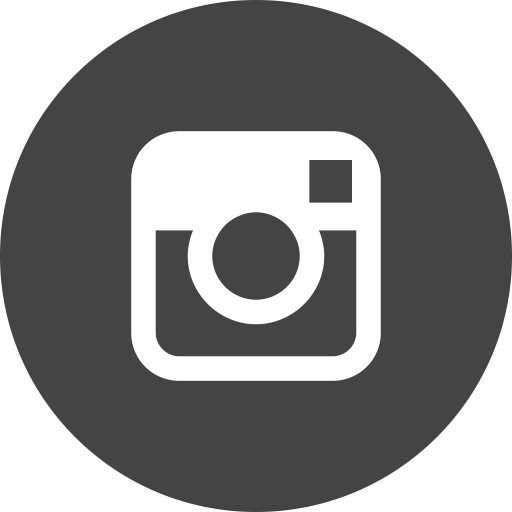 Cernan also was awarded NASA’s first Ambassador of Exploration Award, the Federal Aviation Administration’s prestigious Wright Brothers Master Pilot Award, and the 2007 Lindbergh Spirit Award, which is only presented every five years. In December 2007, the National Aeronautic Association presented Cernan with one of the most prestigious aviation trophies in the world, the Wright Brothers Memorial Trophy, in Washington, D.C.
Cernan authored the book “THE LAST MAN ON THE MOON,” and also is the subject of a film documentary with the same title. Cernan entered the International Air & Space Hall of Fame at the San Diego Air & Space Museum in 2007.